Maybe you have been coaching a while and not getting the clients you need, your systems have not been set up and you are in the dark as to how to make your session work well for you. If you create repeat business and new clients, then the Business in a Box™ is for you. Maybe you want to join our exclusive team of Ultimate Coaches. There is no need to waste time writing the content for your website, paying designers, advertising on FaceBook, having a marketing social media expert, we have all this in-house for our Coaches and we pay all the costs. If you are the right fit for our brand you could be up and running seeing clients within a week after joining our team. We are committed to driving traffic to our site, we share this with our team monthly and invest over $3000 per month in our marketing and driving our website to people who need our help. Amanda and Sarah have over 40 years experience in human development. This has built valuable expertise in all aspects of the training and coaching business, from marketing and logistics to accounting and client management. 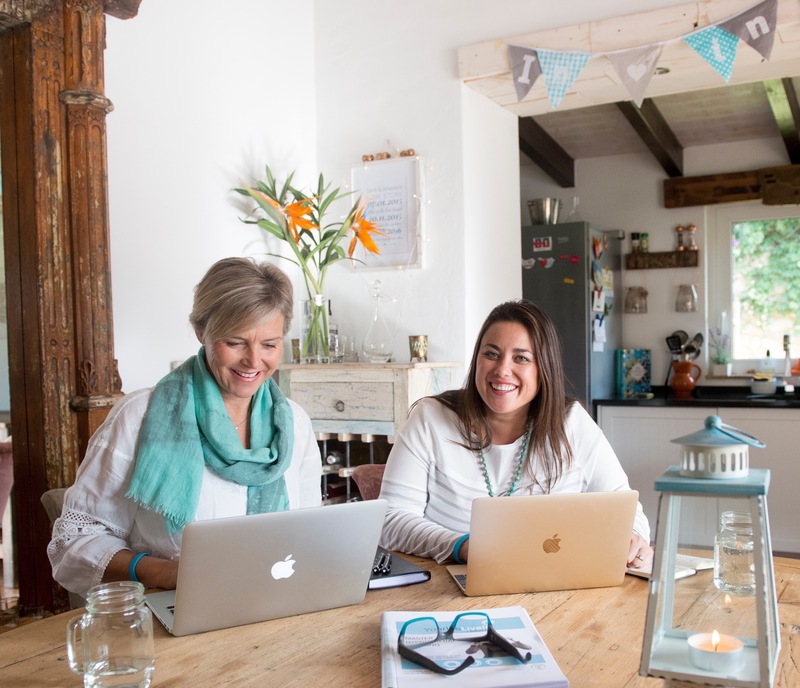 Both work globally and have offices in Portugal and New Zealand and they want to share all of this knowledge with you, so they have created a Business in a Box™ for coaches. If you join our team or just invest in the Business in a Box™, you will have all you need to get going right away and know you have a system that works. It's easy, once you join, you are one click away to accessing your tools and start helping clients, if you chose to join our team we will have you up and on our site within a week, everything has been done for you. BOOM you can start coaching. The option to become a Your Life Live It Trainer giving you license of our top 2 day course Seize Your Life (a NLP Goal setting course).